Over the Continental’s very long life it has changed arguably very little. They, along with Aston Martin, have often been accused of being a bit slack in the design department, opting for facelifts and minor tweaks over dramatic overhauls. 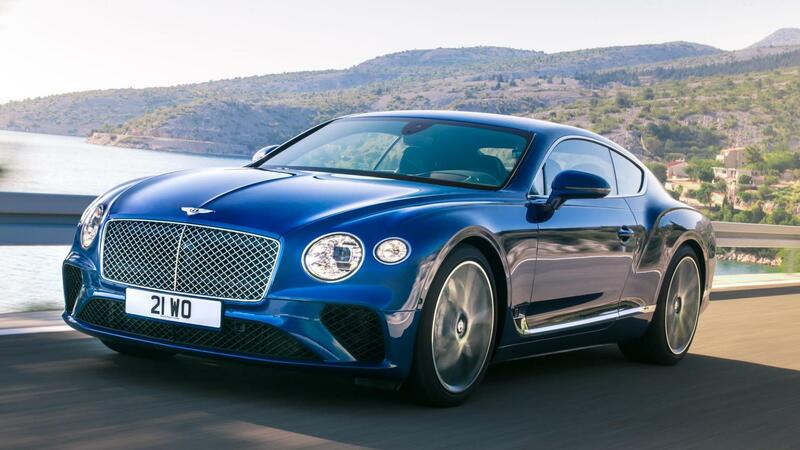 However, Bentley has now unveiled the all new Continental GT and on first impressions, it was well worth the wait. Fresh with ideas from the very well received EXP 10 Speed 6 concept, Bentley has created what they think is most perfect GT car the world has ever seen. While I’m not personally completely sold on the rear end, the rest of the car is a design triumph, the front end especially. The new rounded headlights pulled directly from the 6 concept sit perfectly within the lines of the new nose. Overall, its design perfectly encompasses the dual personality a GT car should have; sporty yet comfortable. It’s not just exterior changes though, a huge amount of work has occurred underneath. Gone is the VW Phaeton based chassis. 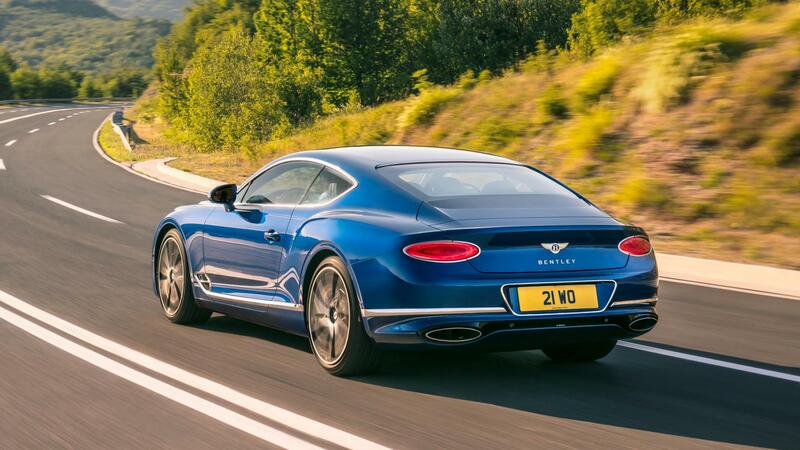 Now the Continental GT sits on the same weight saving aluminium structure found underneath the Porsche Panamera. Bentley is keen to point out however, despite the collaboration with Porsche, 82% of the parts that make up their new car are unique to Bentley. 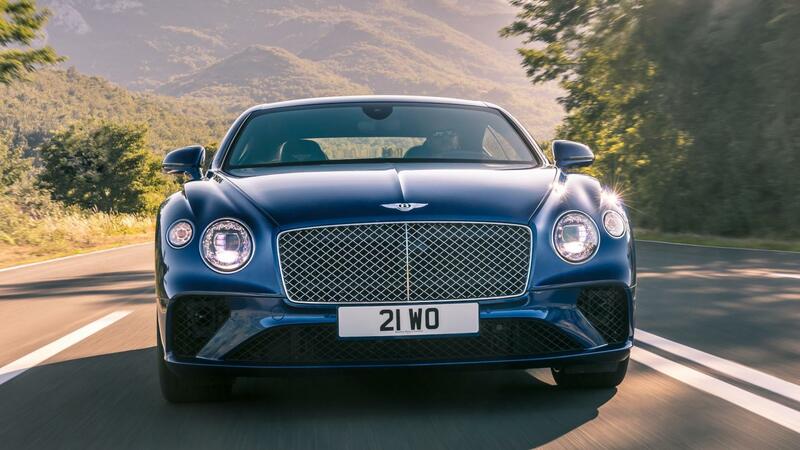 As a result, the new GT weighs 80kg less than before but with a total kerb weight of 2250kg, you’ll still need a boat license to drive it – not a problem for your average Bentley owner. The Continental boasts a 48-volt electric system that powers active suspension to ensure that the natural inertia of 2 tonnes mid corner doesn’t throw the car of course. The bi-turbo W12 has been kicked up the backside so it now develops 626bhp. Power is fed to all fours via an 8-speed dual clutch jobby that’s been pinched from the Porsche Panamera. 0-62mph is accomplished in just 3.7 seconds and top speed is a ludicrous 207mph in sixth gear, the remaining two gears are purely for silently floating along stretches of motorway. 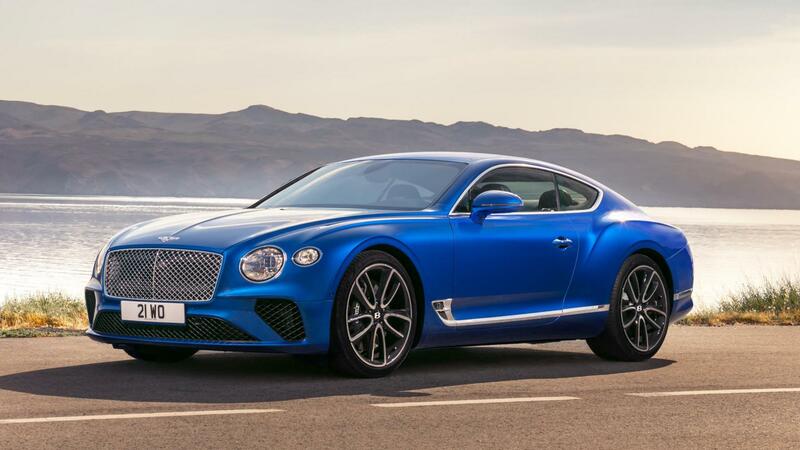 Inside Bentley has robbed yet more tech (this time from Audi) to produce a modern interior full of high-res screens ensuring the Continental GT will stay relevant over the next few years. The crowning feature is the central Toblerone system. As you can see from the image below, depending on the rotation you can have a 12.3-inch touch screen, temperature dials or if you want to remain solely focused on the road, nothing but wood. Elsewhere in the cabin, it’s traditional Bentley. 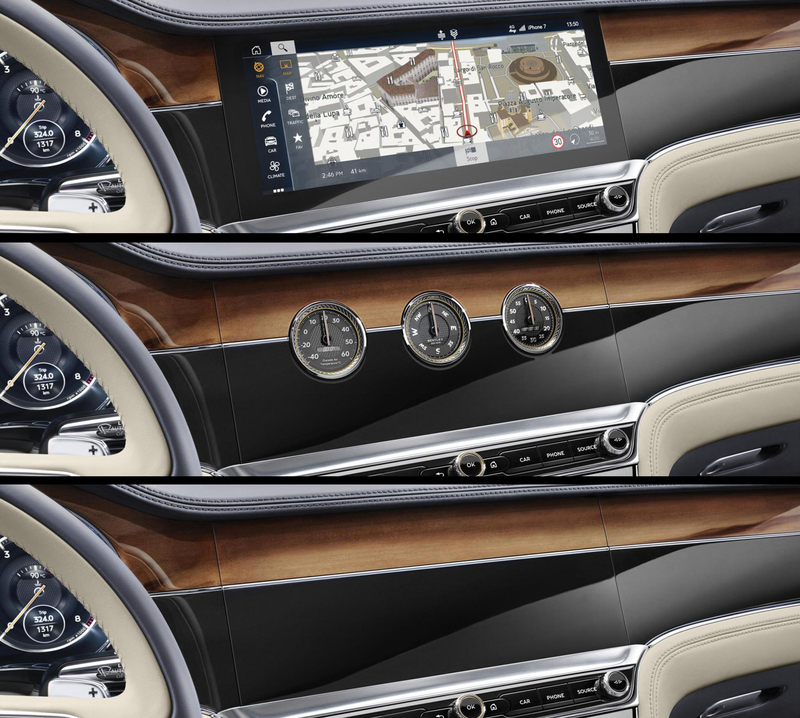 Exquisite diamond stitched leather and 10 square metres of wood portray Bentley’s desired luxury feel brilliantly. More modern touches include an optional 2,200 Watt 18 speaker system. 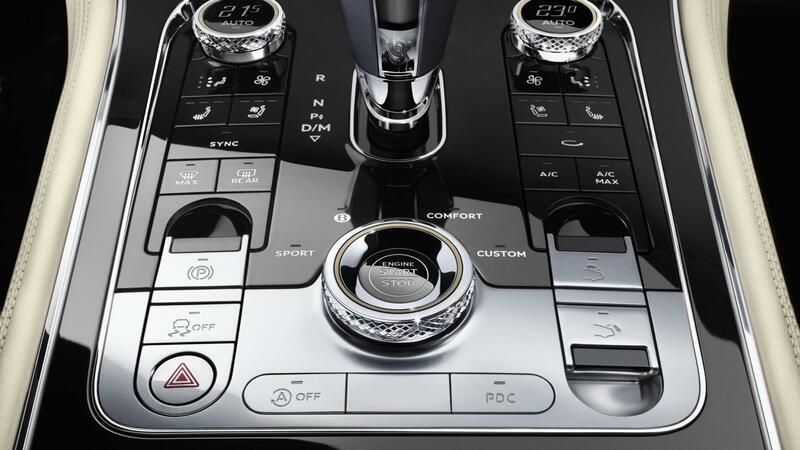 Keen to not overdo it however, Bentley opted for physical metal buttons for controls as opposed to the more futuristic touch screen glass found in the Panamera. This approach is more befitting to Bentley but also keeps existing Continental owners happy. This entry was posted in News, Sports Car and tagged Bentley.